Questions to ask your REALTOR. In a world where you find a real estate salesperson on every corner, it can be a challenge to find a perfect fit for the property you want to sell. How many sales have you closed in the past 12 months? Can you provide name and number of customers you worked with this past year as a reference? Is this a territory your comfortable working? Do you make your sole living from Real Estate sale? These are good questions to start with. 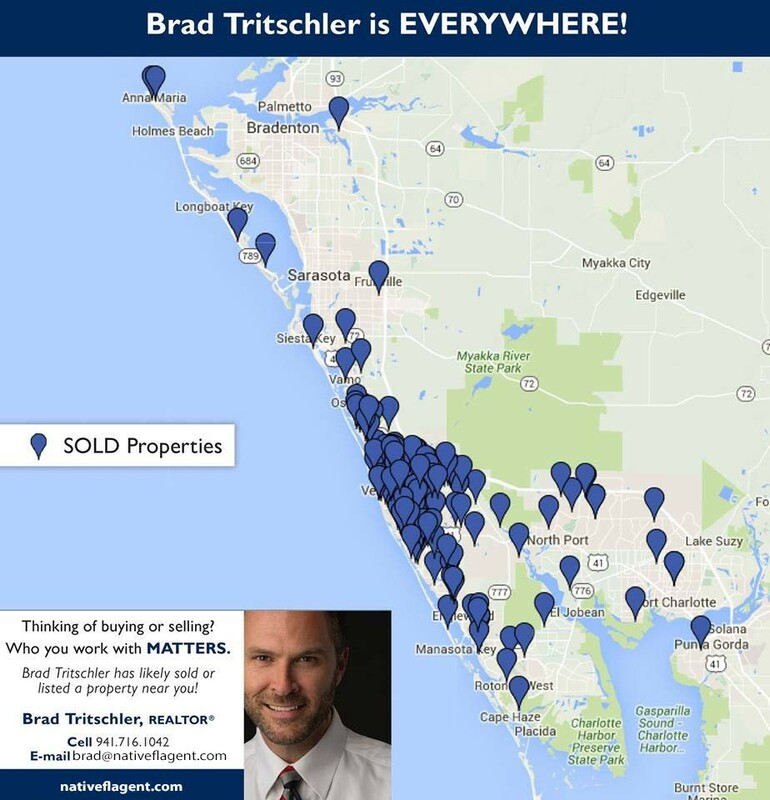 As a Native to this region and having successfully closed sales all over Sarasota County I have more than likely sold a property in your neighborhood or very nearby. With that said there are many moving parts to placing a home on the market today, and how your agent works with these parts can have a significant impact on the final result. Experience, we all know how important this is and many claim to have it, but how many sales and have you completed is a good question to ask? I’m approaching 400 closed transactions in my career. Every single transaction is unique and taught me how to deal with the next property and customer I’m working with. 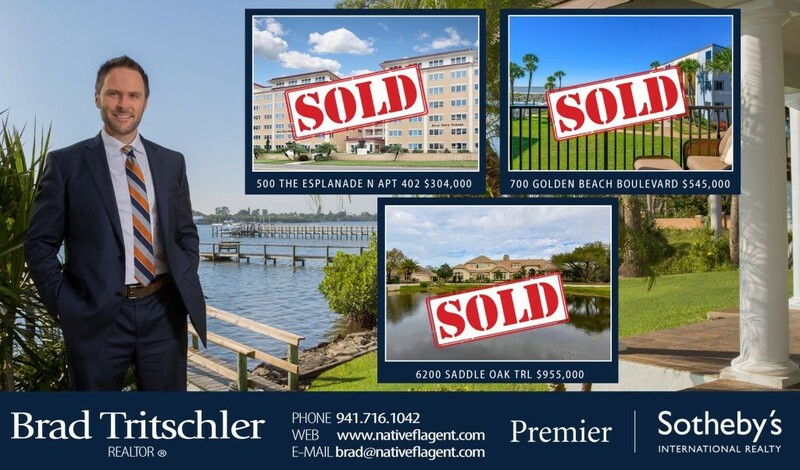 In addition to producing hundreds of closed sales, I’m also a third generation Broker in Florida seceding both my father and grandfather that made carriers in Real Estate Sales right here in the Venice, Nokomis, Englewood, Osprey and Sarasota regions. Preparing your home for sale might just be the most essential part of the sales process. The adage you only get one chance to make a first impression rings so true in Real Estate. Neat, clean, and clutter free go a long way. So does new paint and carpet when needed, but there’s more to it. Is there too much furniture, or not enough? Does the experience of walking the property flow and make sense? Are there minor repairs readily observable when viewing the property? How will the property photograph? This may be the most critical question in today digital online world we live in. Photography can make or break a property! Think of photography as a storytelling process. The higher the quality and better the storytelling the better the result you will get when your property is introduced to the market. I do this every day for a living; let me walk you through the preparation and staging process before placing your home on the market. It’ makes all the difference! Having the Sotheby’s Brand backing all that I do means everything I touch has to be of very high quality. Professional photography combined with aerial drone footage when done correctly makes your property standout online when compared to the competition. I never touch the camera! All ground photography and drone photography are performed by a professional. Understanding the present market condition when listing a home can be the difference between long days on the market or producing a Buyer and Contract to purchase at the beginning of the listing process as it should be. Where are we in the cyclical real estate market? Is the market appreciating? Is it plateauing? Is the market depreciating? Supply & demand, saturation rates, average days on market, year or year and month over month data should be looked and considered during the listing process. Actual property value it’s not just comps when determining property value. The condition, construction techniques/engineering, style, size, parcel site, to name a few impact value. Reproduction cost minus depreciation through the appraisal process should also be considered when considering value. Marketing platforms and online syndication. The first platform is the agent, second is the company agent represents, and thousands to follow. Today soon as a property is uploaded into the MLS, it’s also being syndicated to thousands of online websites and portals. How photos are used, the order they’re uploaded, property description length and content need to be well thought out when considering syndication. The most popular website where your property will be found online need to be checked, and double checked that they correctly auto-populate your properties features and data. Watching and participating in these sites is essential when considering your agent to list your home. How and when to make adjustments is a learned technique through experience in the listing and promotion of Real Estate. It’s not always the price that needs to be adjusted in the listing process. Interpreting Buyer feedback has many times helped my Seller customers make adjustments during the listing period to get a property momentum on track to produce offers that become contracts. Understanding the purchase agreement is just as important as all the detail leading up to a Buyer’s offer. Details matter when it comes to contracts. Knowing the contract helps keeps everyone on the same page and avoids surprises. There are many terms other than price and where the money comes from when you look at today’s 12-page purchase agreement. Buyer inspection window / how to work with issues that arise during the inspection period only comes from experience. Level heads and adapting to personalities throughout the listing and purchase process prevail. Listing Time Line and purchase agreement Time Line need to be documented and explained in detail. When all important dates are clearly understood the 12-page purchase agreement becomes much less intimidating and easy to understand. Today’s Real Estate will tell you one of the biggest misstates they see time after time is important dates that are missed by a Buyer or Seller. Title evidence and / surveying is the last piece of the puzzle when it comes to listing and walking through a successful purchase agreement. I’m a big advocate to perform a preliminary search and exam of Title before listing a property. Some many time Title Insurance underwriters find issues on the chain of Title or Municipal Lien searches find minor details that need to be dealt with. Much less stressful to deal with before you are just a week or two from a closing. When your home is represented by the Sotheby’s International Realty® brand it benefits from the worldwide recognition and prestige of the Sotheby’s name and gains exclusive access to highly qualified global clientele. Call Brad to see how the Sotheby’s International Realty brand is successfully connecting homes with buyers worldwide.